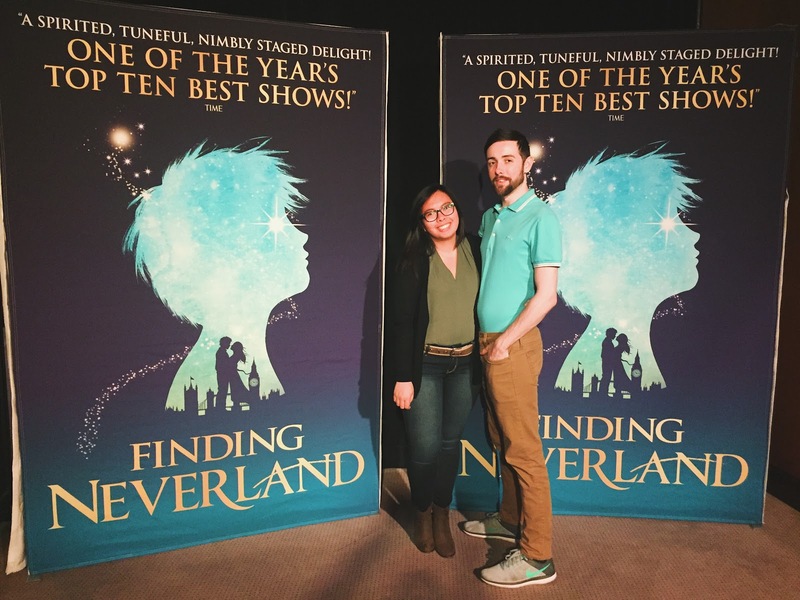 Last night, Chris and I saw Finding Neverland at Costa Mesa’s Segerstrom Center for the Arts. The musical details the story of how JM Barrie came to write Peter Pan. Chris and I had the furthest seats in the orchestra level; however, two ushers let us move to closer seats as it wasn’t too much of a full house. Nice people do exist in some places! 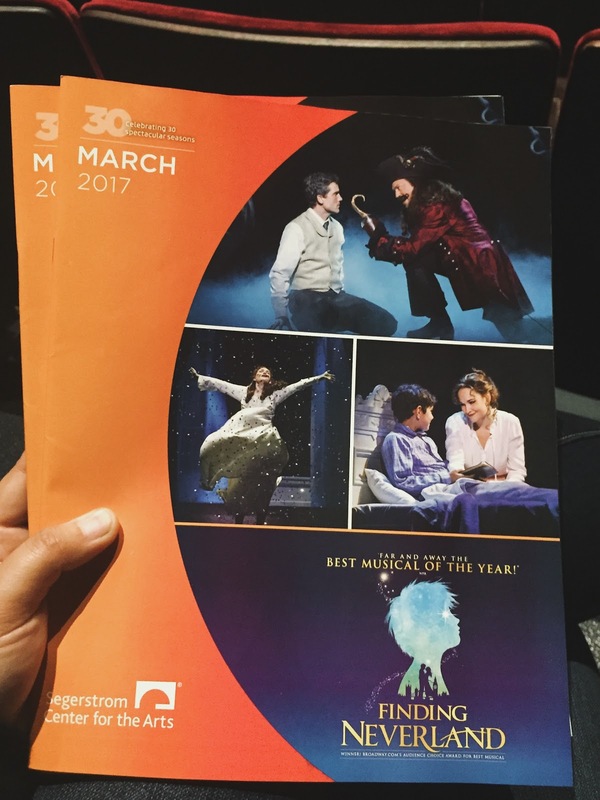 I had only heard of one song from the musical, to be honest, and I spent the whole night waiting for and I certainly wasn’t disappointed. Overall, the musical was amazing. If it ever tours in your area, I highly recommend seeing it. We stayed the night in Santa Ana, which was just seven minutes from the theatre. 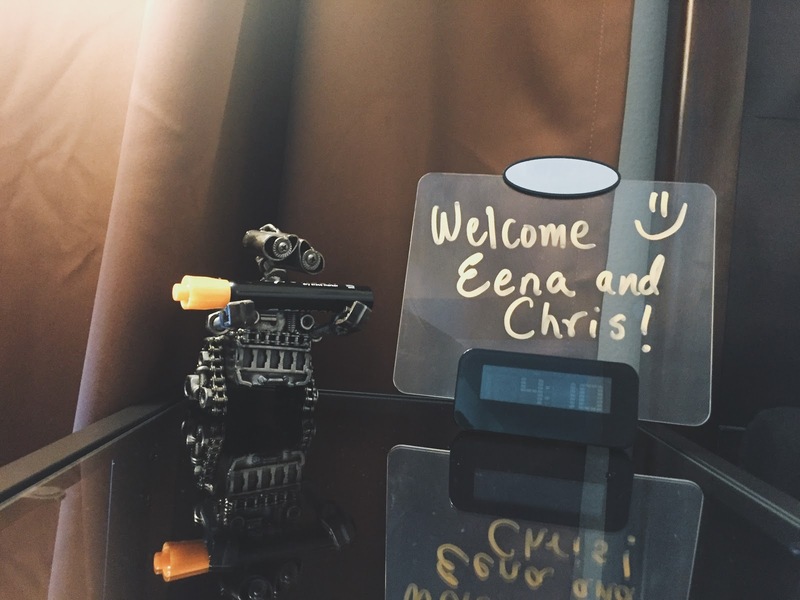 It was our first time staying at an Airbnb too – it was honestly a great experience. Our host Shawn was amazing. The room was stocked with snacks and toiletries, a Keurig and it came with an AppleTV. We even had a welcome sign. Yes! I believe the first show was in 2012 so I'm not too sure if it was before or after the movie. I've actually never seen the movie haha. Bahaha what a small world! Peter Pan was shown more towards the end… to be honest, the cast who played Peter was rather annoying. You should! I love watching musicals, such an expensive hobby though. The place was great – super stocked on refreshments AND they had a cute puppy too! 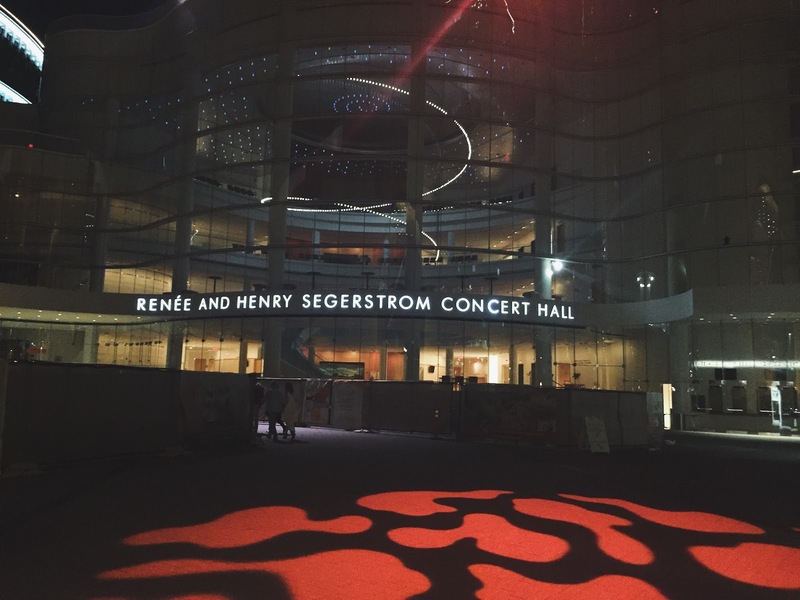 I was across the street from the Segerstrom Center this past weekend X'D. Considering how this musical was about Peter Pan, I can imagine how awesome it must've been. I need to go to one of these musicals some day! Glad to see that you had a great experience. The AirBnB you got looks pretty neat! I love it when the owners go out of their way and try to be welcoming to their guests :). Seems like you had an amazing night! Seeing Peter Pan flying on stage would be sooooo cool! Ah! This looks awesome. I haven't been to a performance that wasn't a rock concert in ages! I do miss "classy" performances where you can sit down and enjoy some theater. I've used AirBNB once when I stayed in NYC. Unfortunately, didn't have the greatest host. But, it looks like you had a great time! I love musicals too! I saw Beauty and the Beast on Broadway, and it was one of the most beautiful things ever, along with The Lion King of course. I'm sorry to hear you didn't have a great host – pretty sure it's a hit or miss with these places. Thanks! I haven't stayed at an airbnb before, I'm glad you had a positive experience!